For a Limited Time Only: eBook version for Kindle, Kindle Fire, iPad, iPhone available for .99 cents! Click here to purchase. Click here to view paperback version. Available in paperback and Kindle versions in the U.S., UK, France, India, Spain, Italy, Japan, Canada and Germany. See complete list of where to boy down below. Bestselling author Lorenzo Domínguez publishes a new edition of Riis’ 1890 classic How the Other Half Lives. This special collegiate edition contains over 100 new endnotes that provide insight and context to students of history, American studies, photography, social studies, immigration, social welfare, public health and journalism. 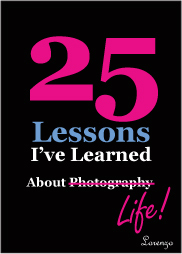 Now available in paperback, iPad, iPhone, iTouch, Kindle and Kindle Fire. 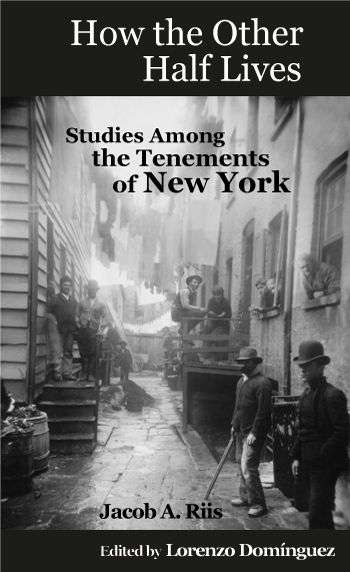 Poetically detailing the lives of the impoverished of New York City's tenement slums at the end of the 19th century, How the Other Half Lives not only brought Riis wide acclaim but also sparked vast social reform at the turn of the twentieth century. It was also one of the first books to use photographs instead of engraved illustrations, which were the standard for images in all forms of print at the time. Also an award-winning New York City street photographer, Domínguez recently restored, edited and published a new edition of this American classic, which is now available for Kindles, iPads and most PCS and smartphones. Specially priced for academic accessibility, the editor adds that this version was created as a public service for the millions of students, history buffs and photography enthusiasts who are interested in how one man and his art can sway public policy and inspire society to make a positive difference in the lives of millions. * The Other Half, How It Lives and Dies in New York was the title of Riis’s original magic lantern lecture that inspired the book. Available in the U.S., UK, France, India, Spain, Italy, Japan, Canada and Germany. Kindle versions are viewable oniPad, iPhone, iTouch, Kindle, Kindle Fire, and many other electronic reading devices. Copyright © 2005-2012. Lorenzo Domínguez. All Rights Reserved.